When wearing a full length hooded cloak is just too much, add the Bron Canvas Hood to your medieval LARP outfits. Made of sturdy cotton, this hood is great for keeping the cold and damp away from your face without extra bulk. The classic design of this historic hood features an open face and slight point at the tip of the hood, making this practical and versatile accessory an asset to almost any outfit. 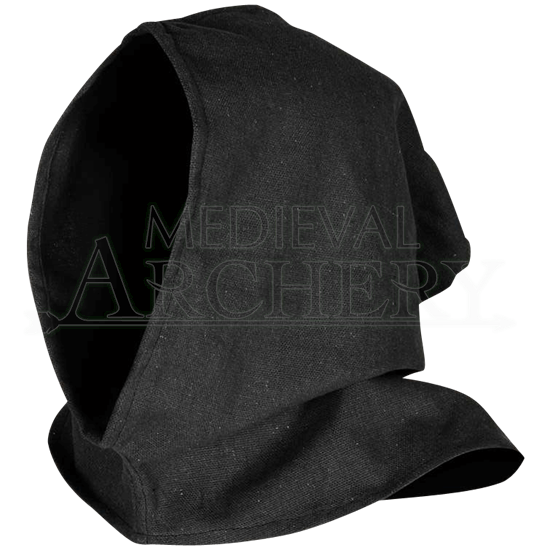 Available in a variety of colors, this hood is sure to become a favorite in any historical reenactment wardrobe.